Do centaurs have two bellybuttons? The centaur isn’t wearing any armor. This comic is so fake. 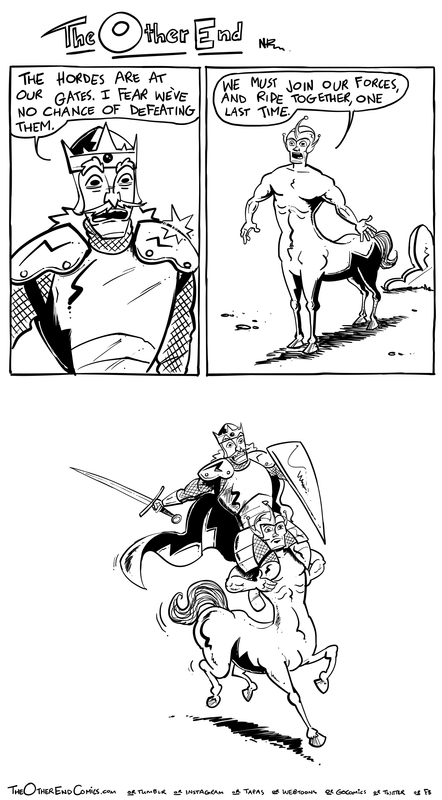 If you knew anything about anything, you’d know that centaurs don’t wear armor. Plus that helmet counts as armor. Real!